EML Viewer Lite is a fully capable email viewer offered at an affordable price. 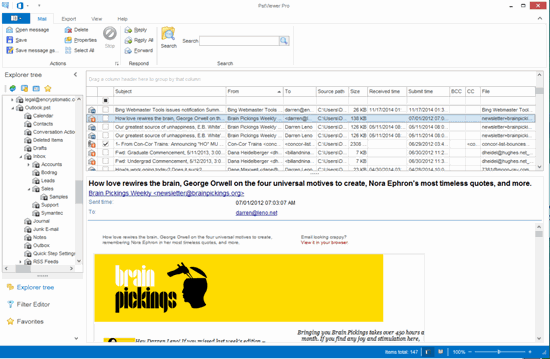 It’s a great multi-email format tool for open email content stored as .eml, .msg and even .pst files. 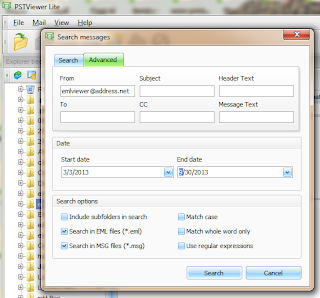 To use EML Viewer Lite (which is also marketed as Pst Viewer Lite), just locate the folder containing your email files using the folder structure navigation on the left-hand side of the screen. 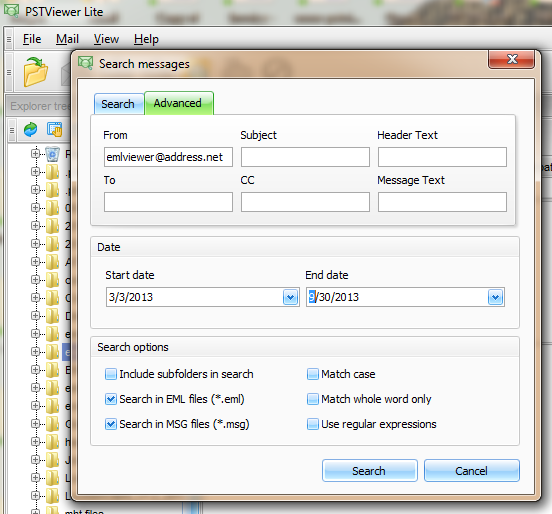 Click on the folder, and EML Viewer Lite goes to work listing all of your messages. You can browse individual emails from the list. Double click on an email to open it in a full window view. The toolbar provides quick access to EML Viewer Lite’s most useful features, including Reply, Reply All, Forward email, search, and print. EmlViewer Lite toolbar includes reply/forward ability. 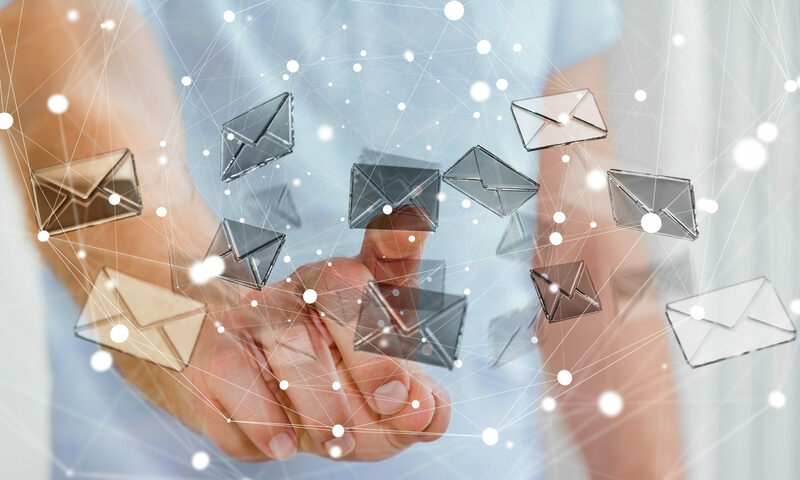 The Reply and Forward functions work with Microsoft Windows’ default email client, so its not necessary to enter any email account informatio into EML Viewer Lite. EML Viewer Lite can search all of your .eml files based on many specific criteria. 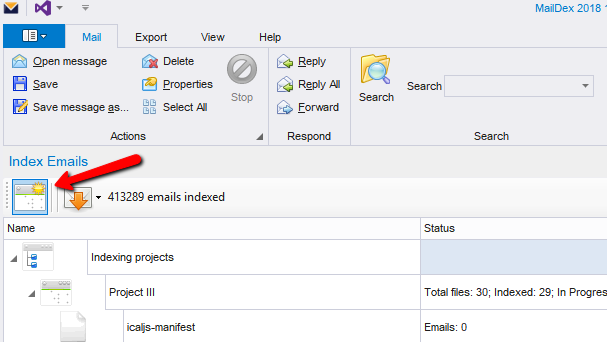 For example you can search emails that fall within a date range. Search by sender address, or find a text string within the email files. Individual EML files can be saved to different formats. To do this, select the message you want to save. Next go to Mail > Save Message As and select the target format. How is EML Viewer Lite different from EML Viewer Pro? All of the core functions are present, including EML to PDF conversion, search, reply, forward, reply all, print and more. The major difference is in the quantity of emails. EML Viewer Lite can export eml files individually, while EML Viewer Pro can bulk export .eml files by the thousands. If bulk conversion of .eml files is not your core need, then you will find EML Viewer Lite to be a very capable viewer able to provide quick access to your .eml, .msg and .pst email files. Click here to download a free trial of EML Viewer Lite.